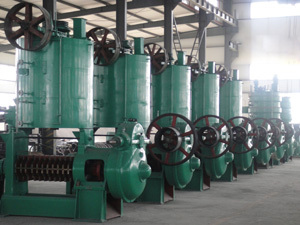 Sesame oil can also be extracted under low-temperature conditions using an oil press machine in a process called cold pressing in sesame oil mill. 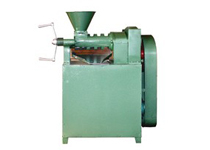 This extraction method is popular among sesame oil mill because it avoids exposing the oil to chemical solvents or high temperatures during extraction for sesame oil mill. 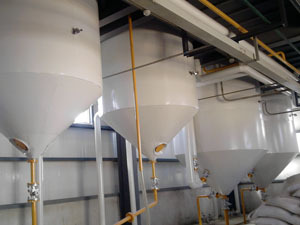 While some sesame oil mill owners will further refine sesame oil through solvent extraction, neutralization and bleaching in order to improve its cosmetic aspects, sesame oil derived from quality seeds already possesses a pleasant taste and does not require further purification before it can be consumed. Production of edible oils requires continuous improvement of quality in every sesame oil mill, i.e. more valuable ingredients and better taste . For sesame oil supercritical fluid extraction proved to be a superior alternative to traditional methods. Much higher levels of antioxidants like sesamol and tocopherol as well as of bioactive compounds like phytosterols and selenium could be achieved. The germicidal properties of supercritical CO2 further enhance the quality of the oil. A by-product of the process is deoiled sesame powder. 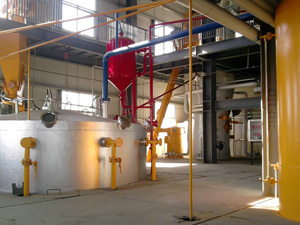 Special equipment design for edible oil production was implemented in this kind of oil mill plant by KMEC, which has an extractor volume of 230 tones and is one of the best worldwide designed for sesame oil pressing mill. 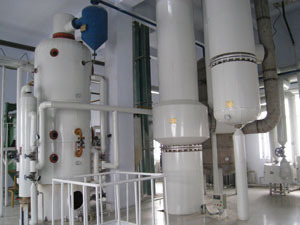 Sesame oil is one of the more stable edoble oils in vegetable oil pressed by oil pressing machine, but can still benefit from refrigeration and limited exposure to light and high temperatures during extraction, processing and storage in order to minimize nutrient loss through oxidation and rancidity. Storage in amber-colored bottles can help to minimize light exposure. 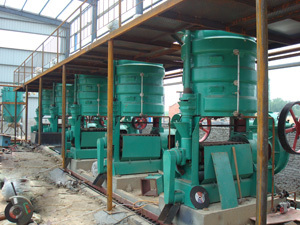 Integrated sesame oil press is also recommended for small sesame oil mill owner. Contact us if you need our sesame oil mill and more information will be provided by our professional team in one working day. Fill the form below and get a discount now.